"Home in the Best Sense of the Word"
American Retirement Homes, Inc is a family-owned management company that has been enhancing the lives of seniors in Virginia since 1968. With over 40 years experience, we understand seniors, their variety of needs and what it takes to provide unsurpassed proper care to each one. Throughout Virginia, we manage six Assisted Living Communities and ten Personal Care and Homemaker Agencies. We also have one Independent Living Community in Warsaw, Virginia. We consider ourselves a Virginia Tradition. Our business did not start in a corporate location 1,000 miles away, rather we are rooted in the state of Virginia where we have established strong relationships with additional services and companies that many of our residents and clients need. 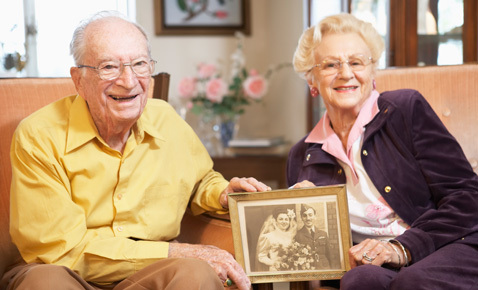 With these relationships, many of our residents never have to move from our Assisted Living Community or leave their home under the care of AmeriCare Plus, our personal care and homemaker agency. Our passion is our family mindset as we treat each of our residents, clients and staff as our family. To us, each one is a part of our extended family. Our staff is selected for their compassion and professional knowledge. Each one is dedicated to our clients, their specific needs and providing quality care with a personal touch. American Retirement Homes, Inc is dedicated to providing a quality home environment. Whether you live with us in our Assisted Living Communities or we enter your personal home to assist you with your daily living needs, you can guarantee that you will receive superior care, compassion and security from our well trained staff. In either setting, we are home in the best sense of the word.